Getting an 1200×300 LED panel light is definitely a very suitable option for every person who wants to enhance the natural light of his home and reduce his monthly expenses, as well. Replacing your regular lamp or bulb with this LED panel can provide you numerous advantages and benefits, as it can be easily installed to any possible location and it can function better than any other lighting system. The 1200×300 LED panel light has a rectangular shape so you can install it to every room or place you want, ranging from your home to your office, a lobby, a restaurant, etc. 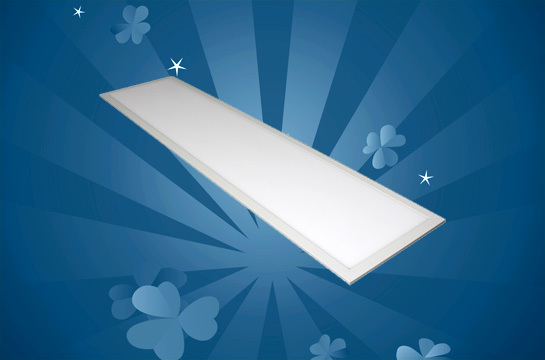 The LED panel combines high quality LED chips and it has a minimum luminous efficiency of 75 lm/w, thing which means that it can illuminate the room appropriately, distributing the light equally. The LED panel body material is made specifically of aluminum, providing the user a resistant product that cannot be easily damaged. Our 1200×300 LED panel lights have several color temperatures and each has a power of approximately 24 Watts, which makes it very functional and enhances its performance at a great deal. The LED panel has an input voltage that ranges between 100 V and 277 V and its color rendering index can exceed 80. With a beam angle of 110 degrees, the 1200×300 LED panel light illuminate the room evenly, providing you an average life span of 50000 hours. The working temperature of this LED panel varies from -10 to 40 degrees Celsius, so you can use it wherever you want without predisposing it to getting damaged. As it has a lamp luminous flux of 2900-5400 lm, the 1200×300 LED panel light will help you distribute the light it emits on a larger area of the room and, therefore, it will be a more valuable acquisition for your house. The light has a frequency range of 60 or 60 Hertz and an optimal dimmable feature that will allow you to modulate the light intensity and set it the way you want. Apart from this, the 1200×300 LED panel light is one of the most powerful LED panel because it has a typical power factor of 0.99 (and even higher based on the brand that manufactures it) and, compared to most lighting system, it can achieve a better performance in any situation, no matter it is used for one or ten hours. 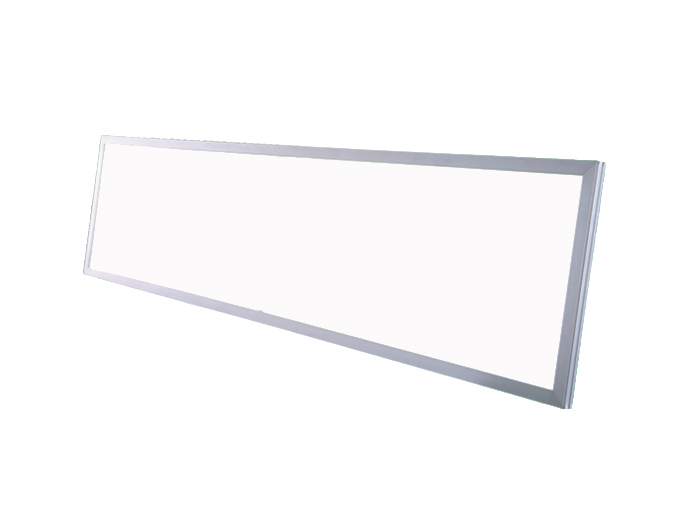 The 1200×300 LED panel light has a very functional design that combines sufficient LEDs and a 2100g net weight, but this LED panel can be successfully used for various purposes, including retrofitting existing fluorescent tube light installations. 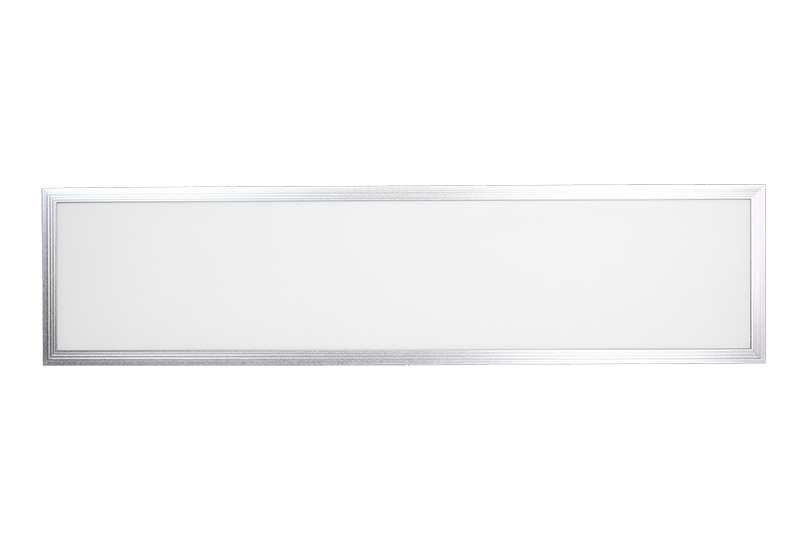 The 1200×300 LED panel light is equipped with numerous flush mounts that will allow you to install it easily and connect it to an energy source nearby. 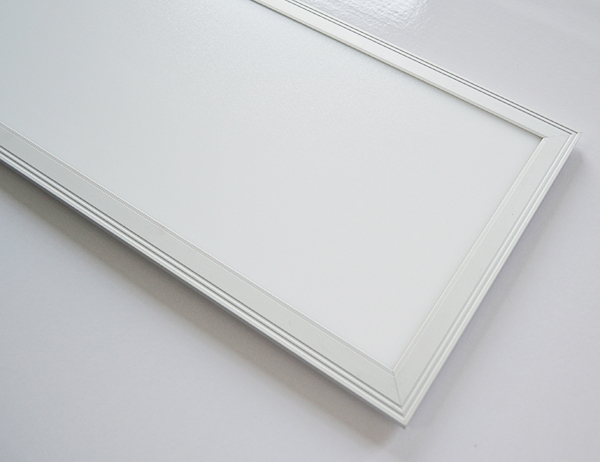 This panel will help you replace the useless fluorescent lamps and it can work with conventional grid panel light, so you will be able to use this LED panel wherever you need (home, office, school, restaurant, lobby, etc.) and install it in only a few moments using the installation guide provided in the product package. Power consumption: 54W; Input voltage: AC 85-265V; LED quantity: 264 pcs; Light source: 2835 SMD LED; Luminous flux: 4300 lm; CRI: 80 min. ; Warranty: 3 years. Power consumption: 45W; Input voltage: AC 200-265V; LED quantity: 108 pcs; Light source: Samsung 5630 SMD LED; Luminous flux: 3800 lm; CRI: 80 min. ; Warranty: 3 years. Power consumption: 36W; Input voltage: AC 200-265V; LED quantity: 204 pcs; Light source: Epistar 2835 SMD LED; Luminous flux: 2800 lm; CRI: 82 min. ; Warranty: 3 years. Power consumption: 40W; Input voltage: AC 200-265V; LED quantity: 204 pcs; Light source: Epistar 2835 SMD LED; Luminous flux: 3200 lm; CRI: 82 min. ; Warranty: 3 years. Power consumption: 45W; Input voltage: AC 200-265V; LED quantity: 252 pcs; Light source: Epistar 2835 SMD LED; Luminous flux: 3600 lm; CRI: 82 min. ; Warranty: 3 years. Power consumption: 38W; Input voltage: AC 85-265V, 50/60Hz; LED quantity: 192 pcs; Light source: 4014 SMD LED; Luminous flux: 3000 lm; CRI: 80 min. ; Warranty: 2 years. Power consumption: 40W; Input voltage: AC 100-277V, 50/60Hz; Power factor (PF)≥0.95; LED quantity: 216 pcs; Light source: 3014 SMD LED; Luminous flux: 3200 lm; CRI: 80 min. ; Warranty: 3 years. Power consumption: 45W; Input voltage: AC 100-277V, 50/60Hz; Power factor (PF)≥0.95; LED quantity: 252 pcs; Light source: 3014 SMD LED; Luminous flux: 3600 lm; CRI: 80 min. ; Warranty: 3 years. Power consumption: 48W; Input voltage: AC 100-277V, 50/60Hz; Power factor (PF)≥0.95; LED quantity: 252 pcs; Light source: 3014 SMD LED; Luminous flux: 3840 lm; CRI: 80 min. ; Warranty: 3 years. Power consumption: 48W; Input voltage: AC 85-265V; LED quantity: 240 pcs; Light source: 4014 SMD LED; Luminous flux: 3300 lm; CRI: 70 min. ; Warranty: 2 years.